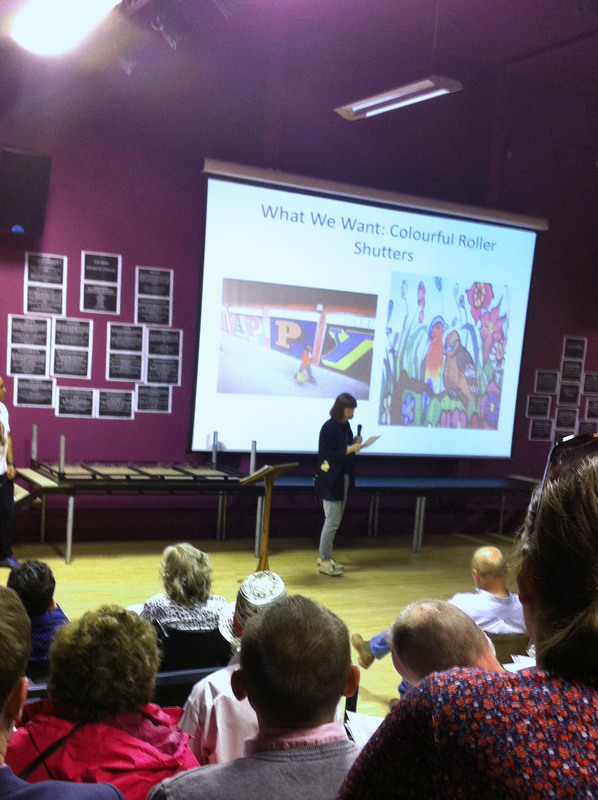 Back in June of this year (2013), Ruth Hannan, our brave and very determined project lead (this is not her official title but she has made it all happen) stood up in front of a packed lecture hall at Stretford High School. 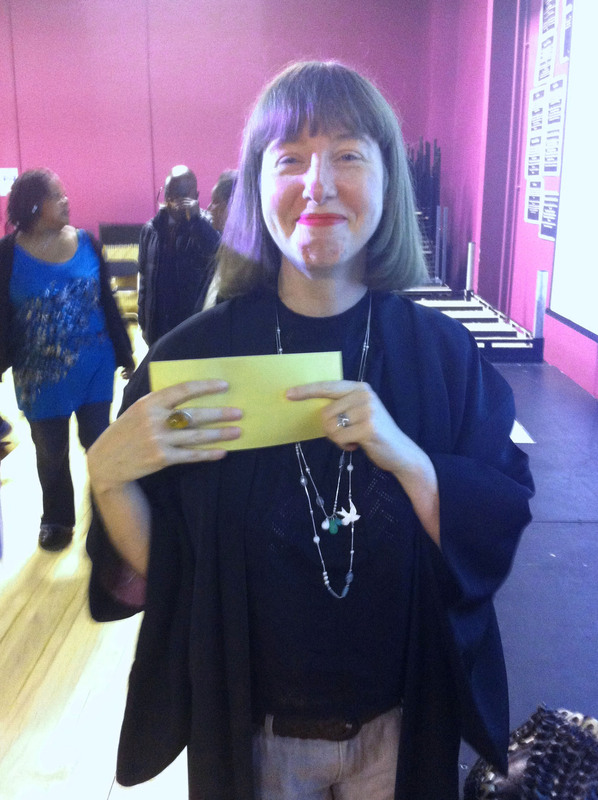 She made a brilliant pitch for funding from Trafford Council’s Voluntary Sector Grants Programme (Thrive Trafford), and got us through a tough public voting procedure to win our first pot of money. Hooray, Gorgeous Gorse Hill was go! Ruth and I risked life and limb in the exhibition area after we set our stand up next to the Disc Golf demonstration one, but Ruth (being the brave soul she is) and I managed to talk to lots of people. Everyone seemed really enthusiastic about seeing lovely Gorse Hill brightened up a bit, so we were quietly confident, but knew we were up against some really great community projects. After a nail biting hour of waiting for votes to be counted we were so chuffed to find out we’d got through. 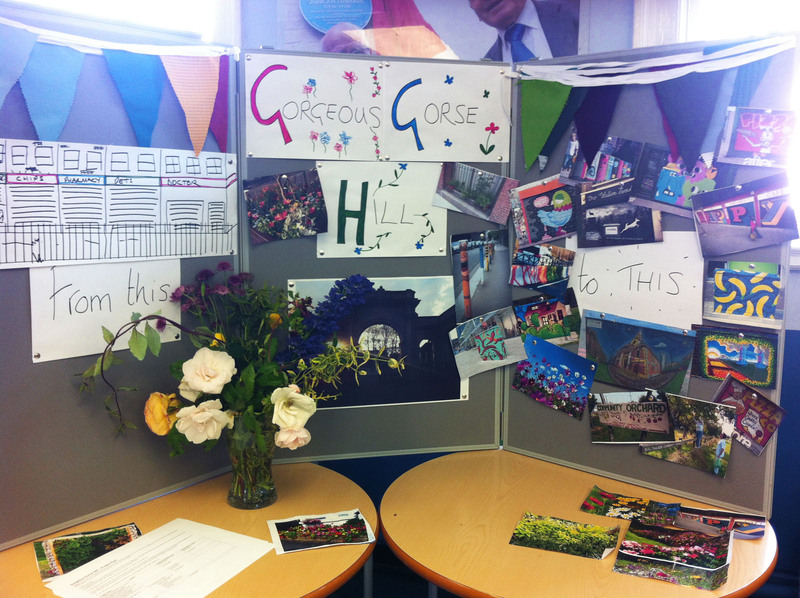 We’re now busy applying to other funding sources to make sure we can make Gorse Hill (even more) gorgeous. This entry was posted in Funding by Mary Patel. Bookmark the permalink.